By day, Pittsburgh’s James Addlespurger is a mild-mannered educator at a high school for the creative and performing arts. Armed with chalk and curriculum, he molds impressionable young minds into fine, creative citizens, poised to take on the world. One could argue that his day job is literally doing God’s work. However, when the clock strikes nighttime, Pittsburgh’s mild-mannered James Addespurger trades in his chalk for a telecaster and transforms into East Coast bluesman Jimmy Adler. The work he does in the midnight hour strictly belongs to the deep dark blues. 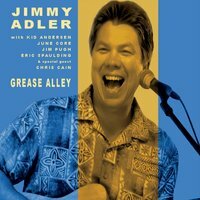 And throughout the 13 original tracks on his latest CD release, Grease Alley, Adler proves he’s schooled in far more than one musical discipline when it comes to high-quality swinging rhythm and blues. 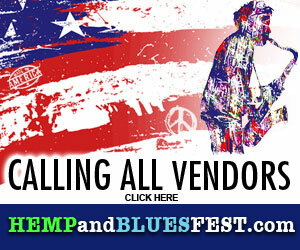 The sad truth is that there is a gulf-sized distance between the numerous mediocre bands that fancy themselves blues performers and those chosen few that are true purveyors of this great American musical art-form. Jimmy Adler clearly finds himself in the latter category, with this homage to the idiom serving as documented proof. From the opening track “Say It Like Magic Sam,” Adler and company school the listener in what a shuffle groove is all about. With an oooh-so-sneaky and laid-back rhythm section courtesy of drummer June Core (formerly with Charlie Musselwhite), as well as bassist and producer of Grease Alley Norwegian-born Kid Anderson, Jimmy Adler lays out his mission statement with ample T-Bone Walker-inspired guitar licks, and a vocal styling second only to James Montgomery in cool. Although Adler is well-known for his songwriting and guitar prowess, in 2009 he gained a certainly unwanted national spotlight when he was physically attacked by a teenager in broad daylight in downtown Pittsburgh. Because the incident was surreptitiously videotaped and later made its way on to the internet, it became known as one of the first documented cases of the so-called ‘Knockout Game,’ a loathsome practice where unwitting pedestrians are assaulted merely as YouTube fodder. Adler made appearances on “Nightline,” “The Today Show” and CNN to discuss the ordeal. In all candor, including the anecdote here might seem out of place at first blush had he had not made such a highly potent blues album in Grease Alley. It takes a certain type of person to convincingly pull off the genre. One needs a whole lotta grit and integrity to sing in the kind of voice Jimmy Adler does without coming off as a wannabe, or worse, a fraud. But rest assured that when it comes to playing the blues, Adler has long since paid his dues, and is most emphatically the real deal. Previous post: Are You Feeling STRESSED?! ?